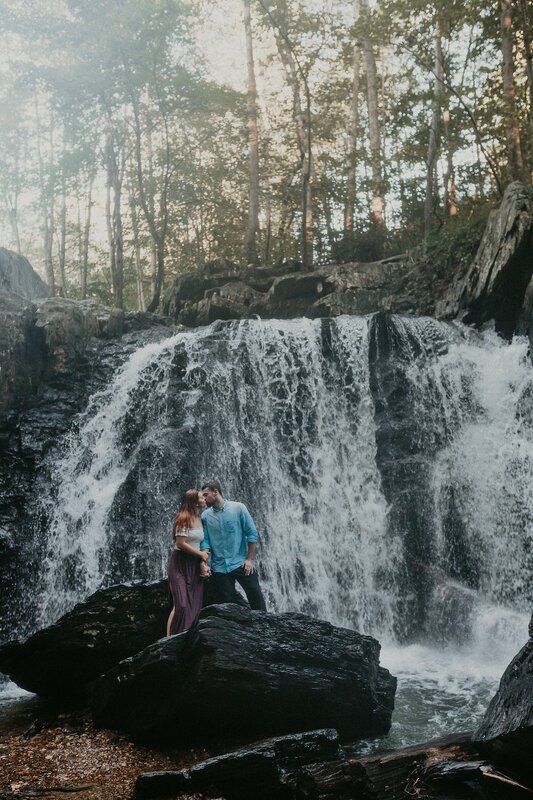 I had stumbled across Kilgore Falls while browsing an app called Outbound that had been recommended to me by my friend Ashley. 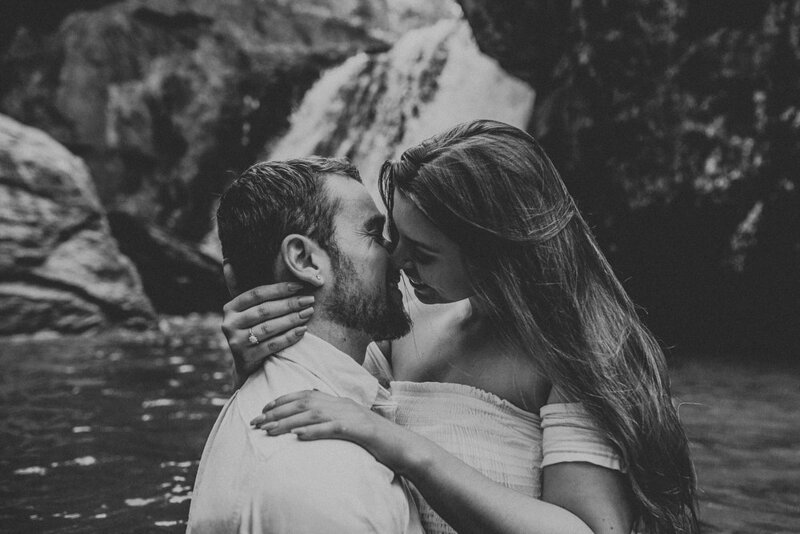 Once I saw the photos of it I knew I wanted to shoot there but it would take a special couple to make the session as adventerous as I wanted it to be. THANKFULLY Kevin + Leah came along all thanks to Leah's Mom for stumbling across me. 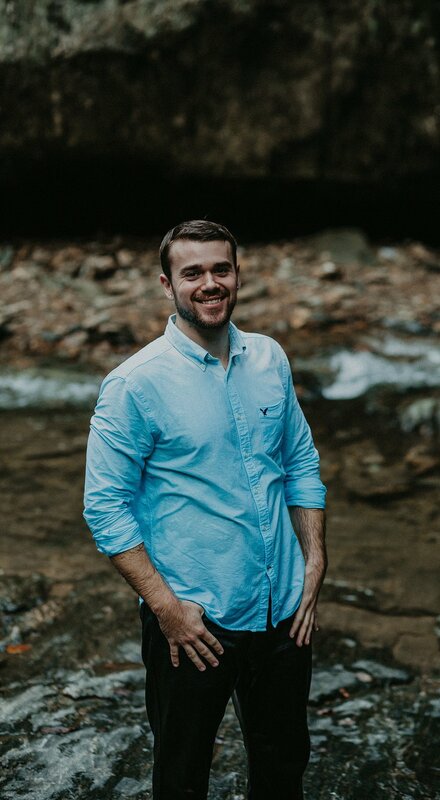 Leah messaged me and we set a date to make it happen! 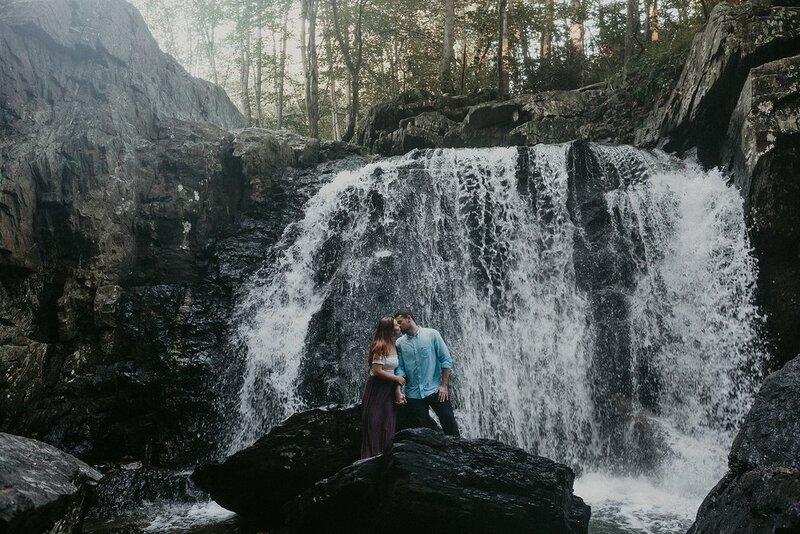 While walking to Kilgore Falls I asked Kevin + Leah some questions about how they met so I could get to know them more as a couple. It was adorable. The two went to high school together but never had any run ins with one another due to the age difference between them. And lo and behold they also grew up right down the street from one another! They connected at a party one evening and three years later they’re attached to the hip :) Leah is currently chasing her dream in the health field and Kevin is hard at work at his job but these two seem to have that work-life balance down and sure know how to take some good vacations. All the traveling they do is pure #goals and right before our session they had just gotten back from Paris, France! 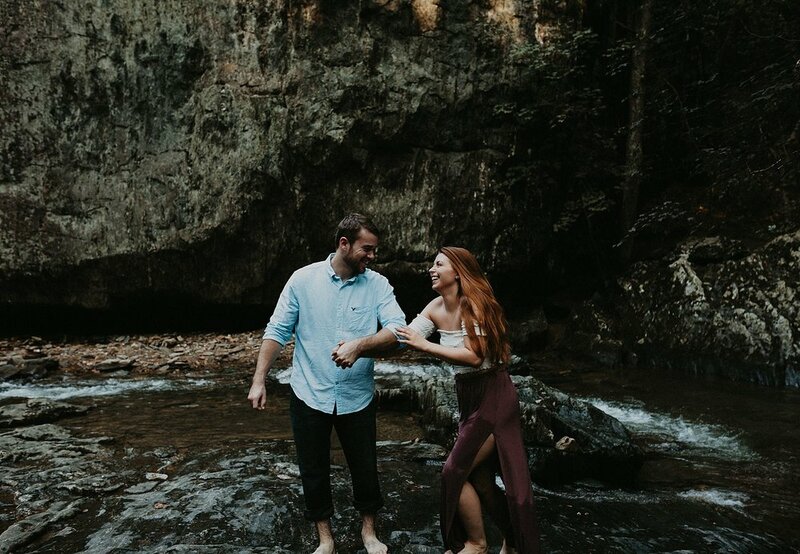 Unfortunately we had been experiencing some sweltering heat and humidity for the few days leading up to our session so I was thankful that my desire to want to get into the water was met with a resounding yes from the couple. 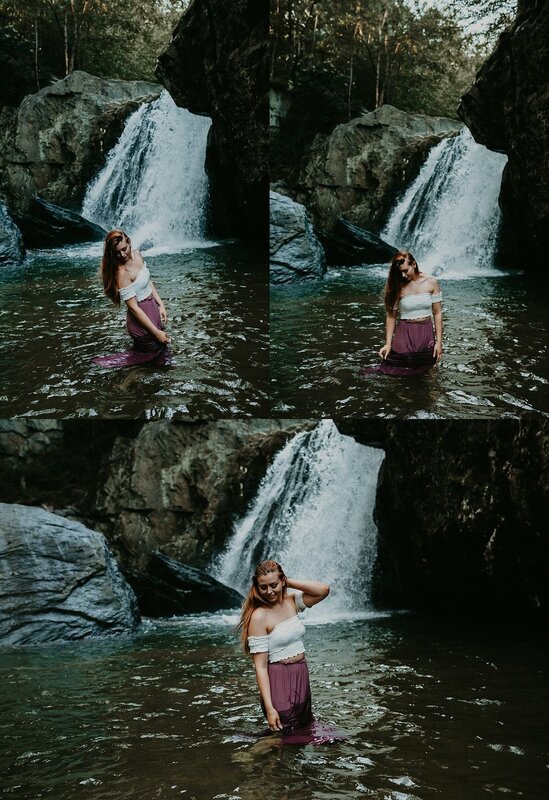 When we got to Kilgore Falls we took it slow, put some Arianna Grande on in the background (Leah's current music favorite) and waded in some ankle deep water and took advantage of the quick burst of sun that was coming through the trees. After that we slowly moved deeper into the water and closer to the Falls themselves. As we were waiting to take the plunge and get fully into the water Kevin accidentally found the drop off all on his own and down he went! 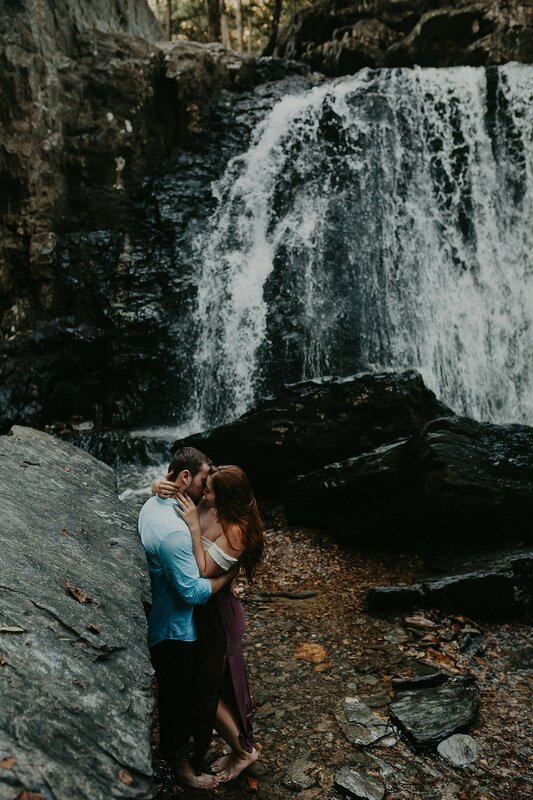 At that point there was no reason trying to wait for the perfect time to get fully wet so Leah went right in after him which then gave us the perfect excuse to get right up to the water coming down off the rocks.